WikiLeaks takes a bold stand against leaks. 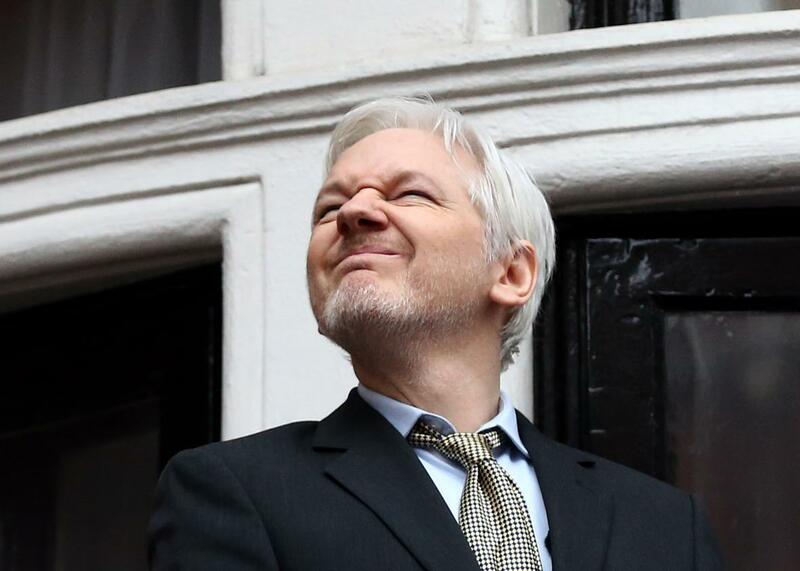 WikiLeaks founder Julian Assange squinting on the balcony of the Ecuadorian Embassy in London, where he continues to seek asylum, on Feb. 5, 2016. WikiLeaks, a site famous for publishing illegally funneled classified information, has accused the Obama administration of “illegally funnelling” classified information to NBC for a report on new intelligence on Russian hacking efforts that aired Thursday night. WikiLeaks has since contrasted its long history of releasing politically relevant classified information with NBC’s report by calling the disclosures of the two anonymous intelligence officials cited a “pseudo-leak” allegedly authorized by the Obama administration for political reasons—namely, undermining incoming President-elect Trump. Many have found WikiLeaks’ subtle distinction between releasing illegally leaked classified information for political reasons on the one hand and releasing illegally leaked classified information for political reasons on the other unconvincing. WikiLeaks was joined in its criticism of NBC’s report by President-elect Trump, who called interest in Russia’s hacking and apparent attempts to influence November’s election “a political witch hunt” in a Friday interview with the New York Times. Trump followed up the interview with a tweet, retweeted by WikiLeaks, calling for a House and Senate investigation of NBC’s report. On Friday, WikiLeaks also retweeted, as it periodically does, helpful instructions for those wishing to illegally funnel classified information for political reasons.